Centrifugal single inlet fans, manufactured from steel sheet protected against corrosion with epoxy-poliester paint coating. High-efficiency forward curved centrifugal impeller, from plastic material (800 N) or galvanised steel sheet (1500 N). Circular supply and extract valves, which include back draft shutter in the extract. 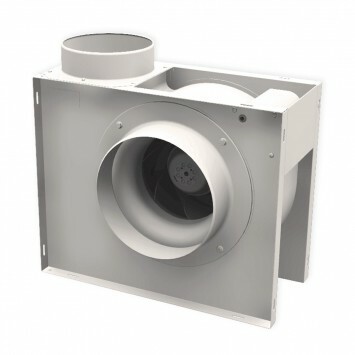 Single phase 230V-50Hz., external rotor, IP44, F Class, with thermal protection included. Adjustable by power variation. It can work up to +70ºC temperature.